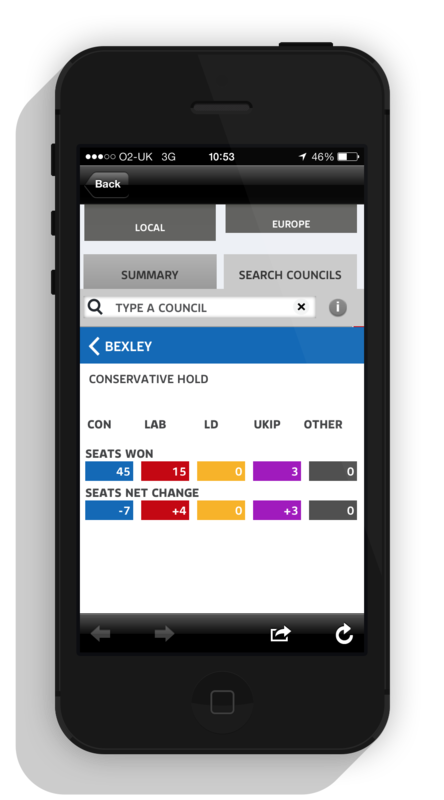 The Local and European Elections 2014 for Sky NewThe Local and European Election 2014 app is designed with the same look and feel for all platforms. The App uses flat colours of greys, white and pale blue. 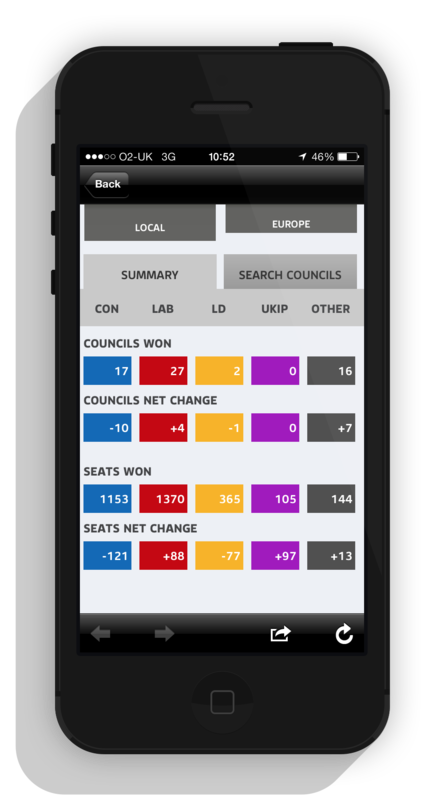 The Elections App used to be very dark however now a fresh lighter look was used, the lighter environment brings out the party colours. I start with the iPad design and then adapt it for use on other platforms; while keeping in mind the restrictions that of other platforms would have, e.g they might be smaller. I start with the iPad because this is the premium device, so the app must look like the app was made for it. The iPhone (mobile) version works the same way as the as the side panel on the other platforms. 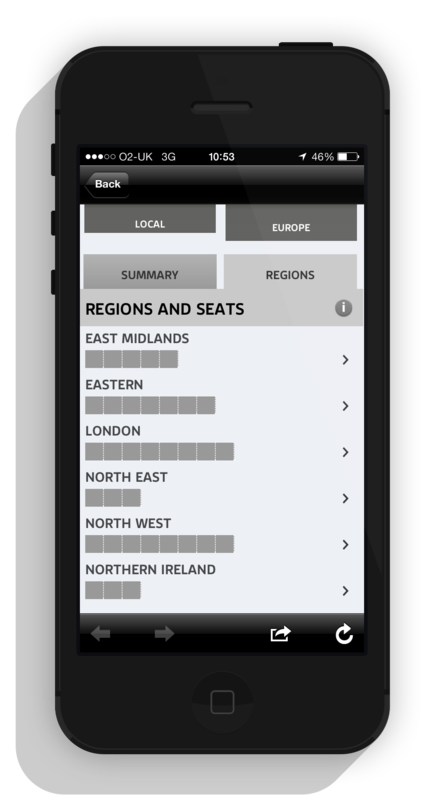 The mobile version does not include the map as this is used as a visual device and the side panel works without the map. The design is clean and bright and easy to understand and it was fin to see the various constituencies light up with results. The adaptiveness of the app was the first priority from the beginning and i think with defiantly shows in the way mobile and tablet versions look and function and same way. The Sky News app had a lot of traffic over the night and we got over 30,000 hits in the first 6 hours.